The PRO II semi-automatic wire feeder. 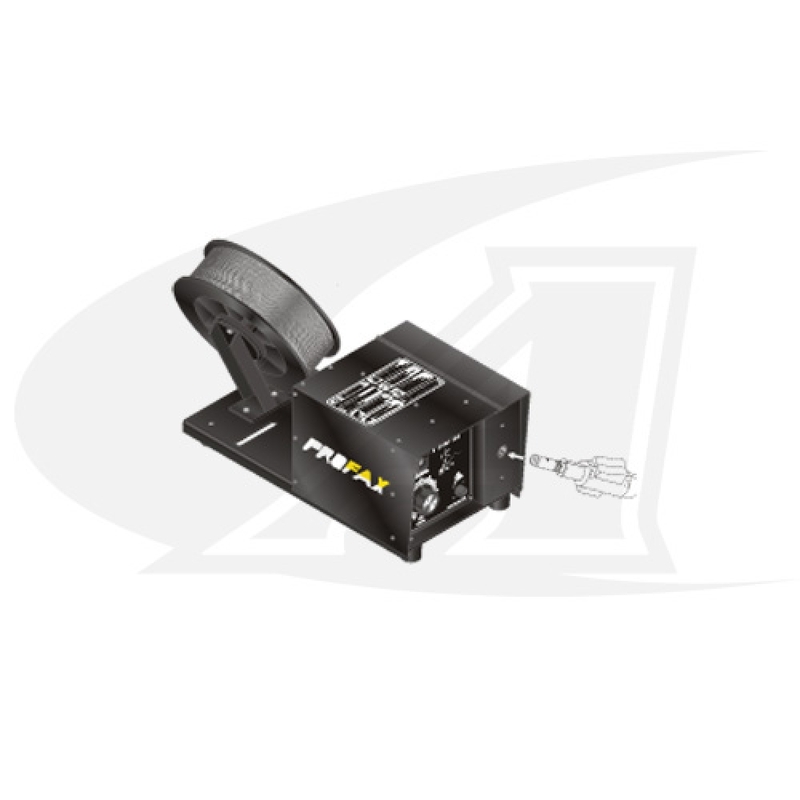 Designed to accommodate wire sizes of .023" (0.58mm) to 1/16" (1.59mm) and gives the operator comfort with its ease of access to the wire drive, large wire speed knob and lighted power switch. Both upper and lower drive rolls are geared together to give maximum wire drive, and a hinged cover protects the drive from contaminants. Compatible with Standard TWECO style MIG guns. Note: Machine designed for 24 volt AC. Optional internally mounted 115/24 transformer available. Drive Roll Kits and Power Cords sold separately. Spool Capacity Will accommodate spools up to 44 lbs. Very sound wire feeder. It connected to my machine easily and I also purchased my mig guns here too. These guys helped me the whole way. This PRO II feeder works great with my GUN. It is a great price for this machine!!! !